Concert Hall SMSC 2534 (originally: Everest SDBR 3055) 1969 Philips UK pressing/Turicaphon Swiss matrices. Fantastic record!! And another beautiful transfer, thanks. 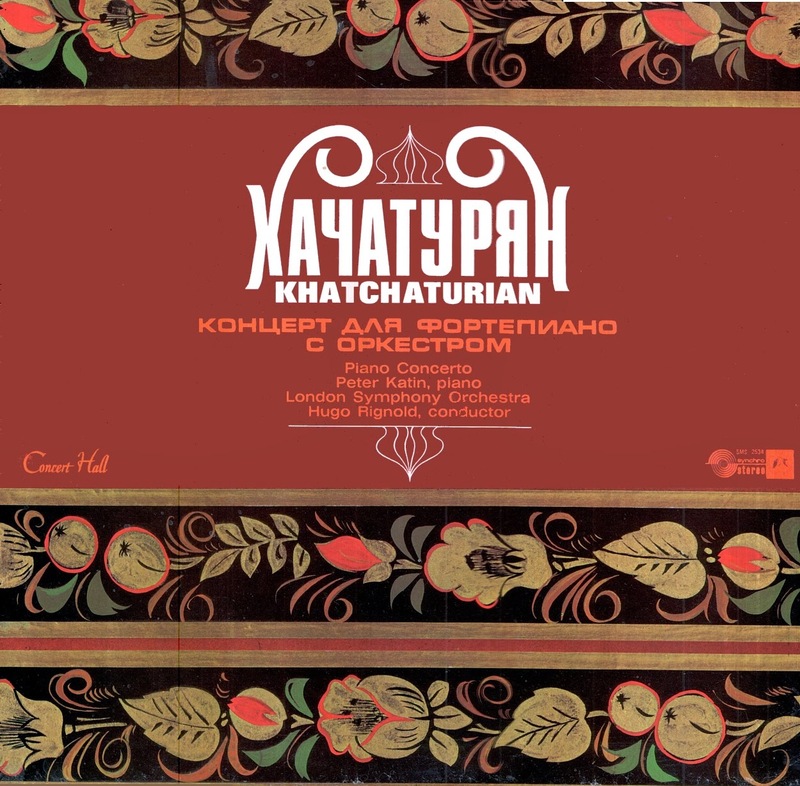 The Khachaturian has long been a favourite of mine ever since I was a small boy, intrigued by the weird flexatone sound. Certainly is...makes Moura Lympany sound like an Arthritic OAP!! The LSO also play superbly..so I'm glad this wasn't one of the Concert Hall's (300; all new/cost a penny each) that I palmed-off onto Oxfam, years back; as only did a quick sampling to dispose of the obvious Lemons.. Normally these Turicaphon transfers are not to my liking as they seem compressed (and 3 later Stokowski/Everest's are none too good) - but this is really top-class and 'exciting' (the Sibelius VC/Spivakovsky may be worthwhile: also have a early '70's PYE transfer). Some thanks are due to the superb JVC X-1 'Laboratory' PU cartridge of 35 years ago (described by Stereo Review as 'the greatest magnetic cart ever produced'), and that my hit'n'miss 'repair' of #2's faulty suspension seemingly worked-out fine (so no funny waveform anomalies, this time..). 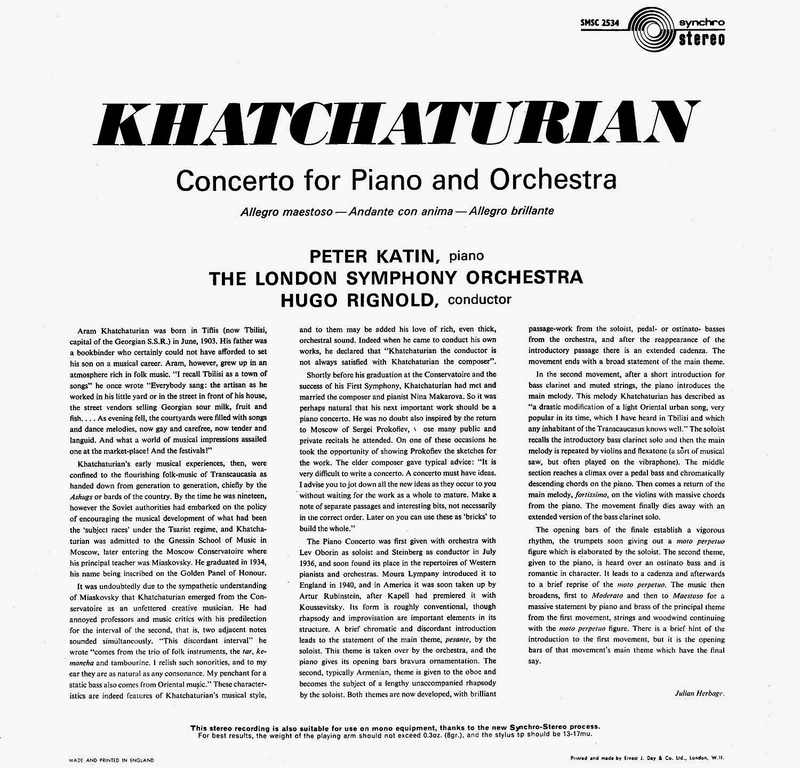 I had this Concert Hall LP......so good to hear it again in your transfer. A superb interpretation. All Rignold do worthwhile too. I'll have another listen to the Paris: Sylvia/Coppelia (have a new '60s US Victrola stereo - which I passed-over in favour of the Boult) - but doubt I could make a 1953 10" Parlophone (PMD 1003: ROHO/Sylphides - in the Gordon Jacob arrangement) sound OK, as the LP transfer was really lacklustre. VERY nice transfer - thank you. Strong performance.